Please Note: This item is built-to-order with a lead time of 7-10 business days. 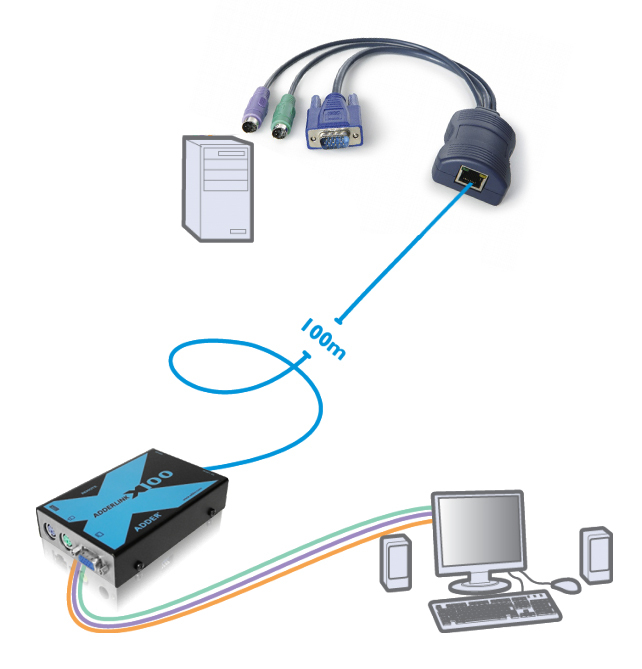 The AdderLink X100A-PS2/P is PS/2 KVM extender with audio which has been designed for use in applications where keyboard, mouse, high quality video and audio needs to be extended up to 165ft over category 5 or higher UTP cable. The AdderLink X100 provides industry-leading video clarity, audio quality and compatibility. Question: Does the X100A-USB/P come with the CAM for the computer? Answer: Yes, this ADDERLink PS/2 KVM Extender does come with the CAM.